Everyone loves the convenience of being able to watch movies on their iPad. You can just lie on your couch instead of sitting at a desk watching your movies on your computer. The only problem is, how to sync your movies to iPad from computer? There are a few different ways to do this, some with more advantages than others. The problem with using iTunes to sync your movies is that it could cause movies that are already on your iPad to be deleted. This is especially true if you didn’t purchase the movies from the official store. Or if you have already synced your iPad to another iTunes library. Apple purposefully uses these anti-features to try to control the files on your devices. You don’t have to worry about data loss. 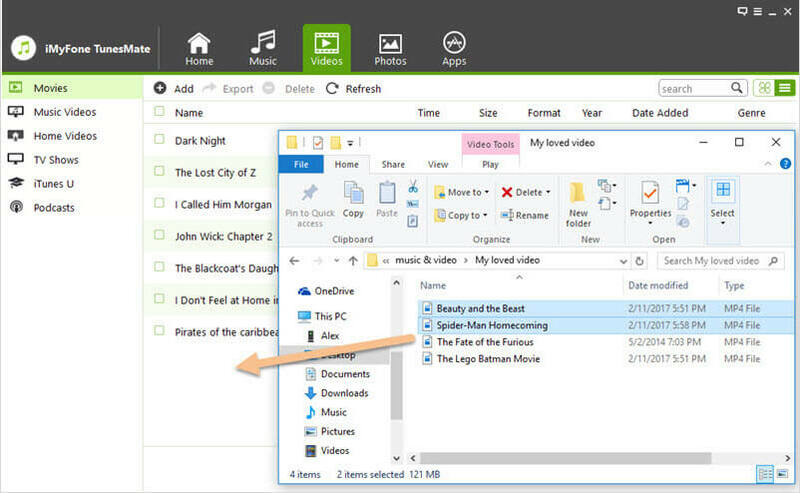 You can transfer videos/movies from your device to your PC or Mac. 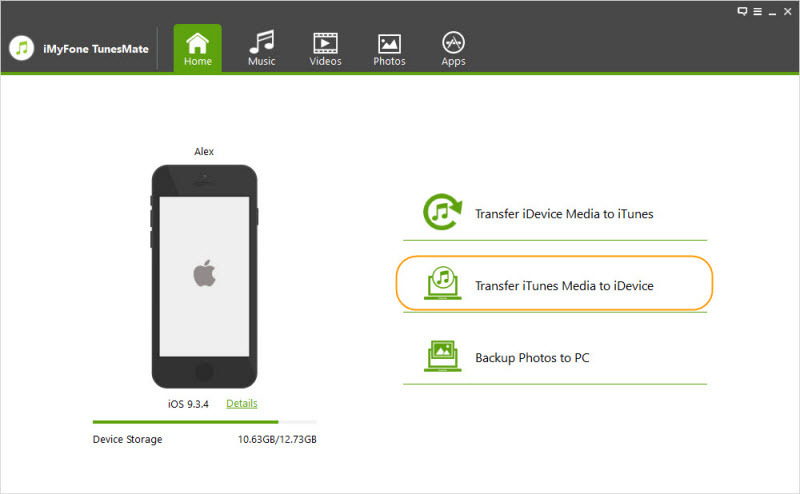 You can transfer media files from your computer to your device. You can share videos/movies among many devices. You can transfer movies one at a time or all at once. You can manage both videos that you purchased from the Apple store and ones that you didn’t. You can transfer movies with any kind of format. Step 1: Download and install TunesMate, then plug in your iPad. Step 3: Make sure that “Movies” is selected and click “Transfer”, then click “OK” once it is complete. Step 1: Of cpurse, launch TunesMate and connect your iPad with a cable. Step 2: Go to “Video” tab and you will be in the “Movies” interface. Step 3: Open the movie folder on your computer. Select movies and drag and drop them from the movie folder to the “Movies” window of TunesMate. Not only does TunesMate support the ability to sync movies, but you can also transfer just about any other kind of media file. This includes music, TV shows, music videos, audio books, podcasts, and entire playlists. You can transfer these all at once using the method mentioned above, or you can transfer files one at a time. You can even preview many of the files before you transfer them. Step 1: Open iTunes on your computer and plug in your iPad. Step 3: On the left, click on the type of media that you want to sync. In this case, it’s “Movies”. Step 4: Tick the box next to the word “Sync Movies”. This will turn on syncing. Step 5: Click on any options that you want. Step 6: Click “Apply” and the syncing should start automatically. If the movies are already in your iTunes library, you can directly follow the above steps. But if the movies are in your local computer, you need to add movies from computer to iTunes first by the steps below. Launch iTunes. Make sure you log in your account. Go to your movie library by clicking “Music” at the top left corner and change it to “Movies”. Go to “File > Add File to Library” from the top left corner. Go to where you locate the movies and make them transferred. The fact that iTunes is slower to load than TunesMate. The fact that you can’t transfer one file at a time. The fact that you can’t preview files before they transfer. You may lose media during the syncing process.